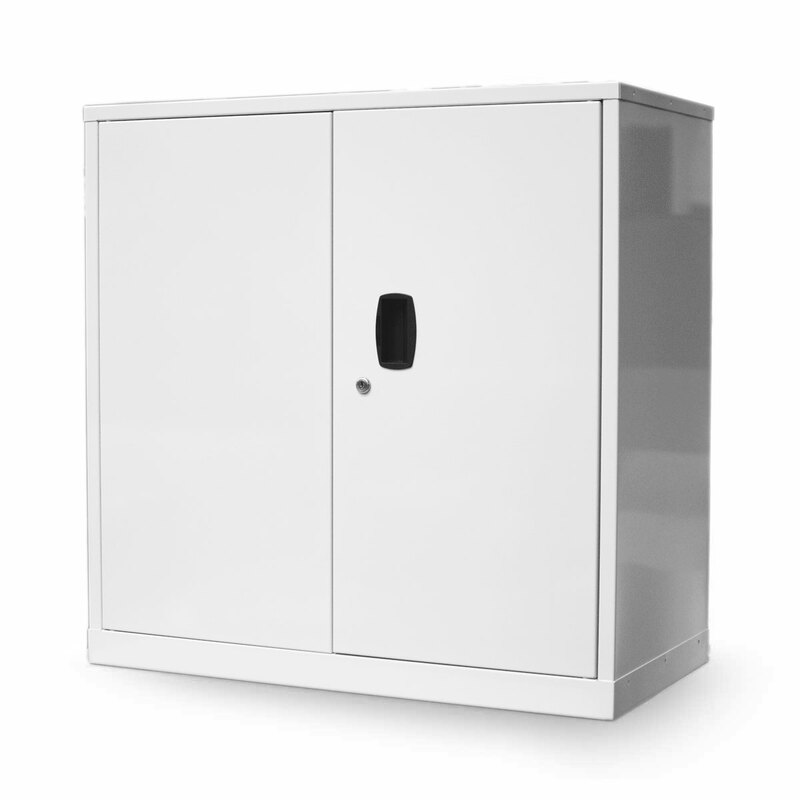 Double Door Acid and Alkali Storage Cabinet with two half width shelves. 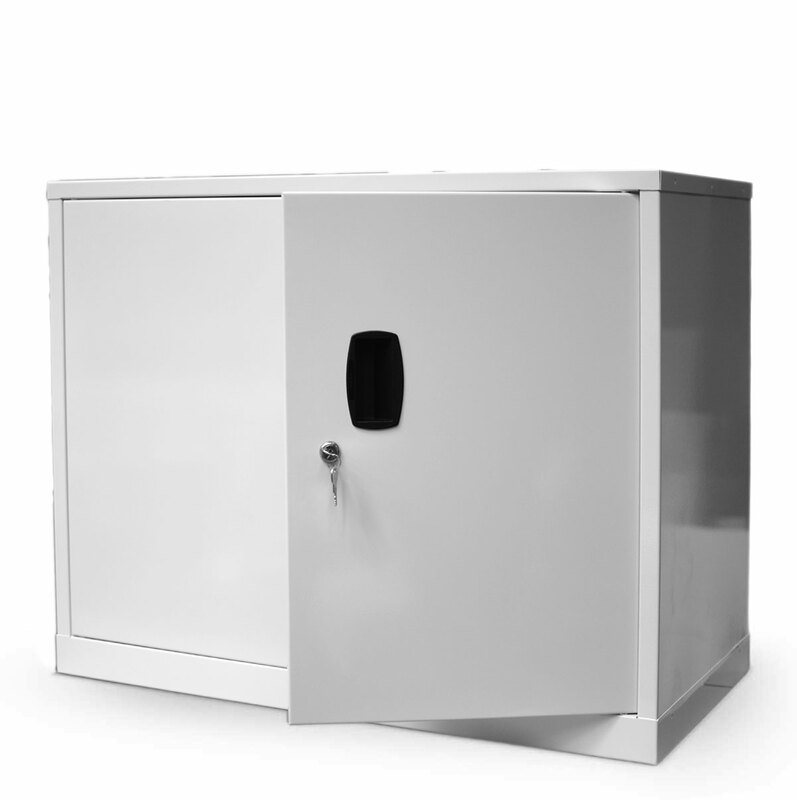 This acid and alkali cabinet has been designed to improve the overall safety of your working area by providing safe and identifiable storage of acid and alkalis. These cabinets help you to ensure that acids and alkalis are stored correctly, by being separated from other chemicals. 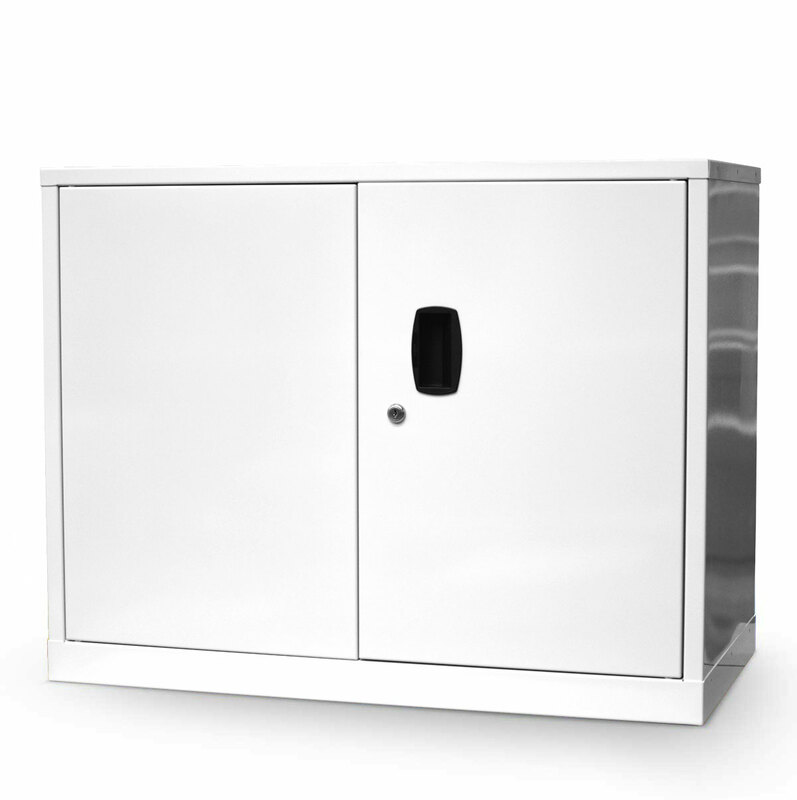 This acid and alkali cabinet features a fully welded sump, which has been designed to hold the required 110% of the maximum volume of the largest unit stored within the cabinet as set out in CoSHH regulations. 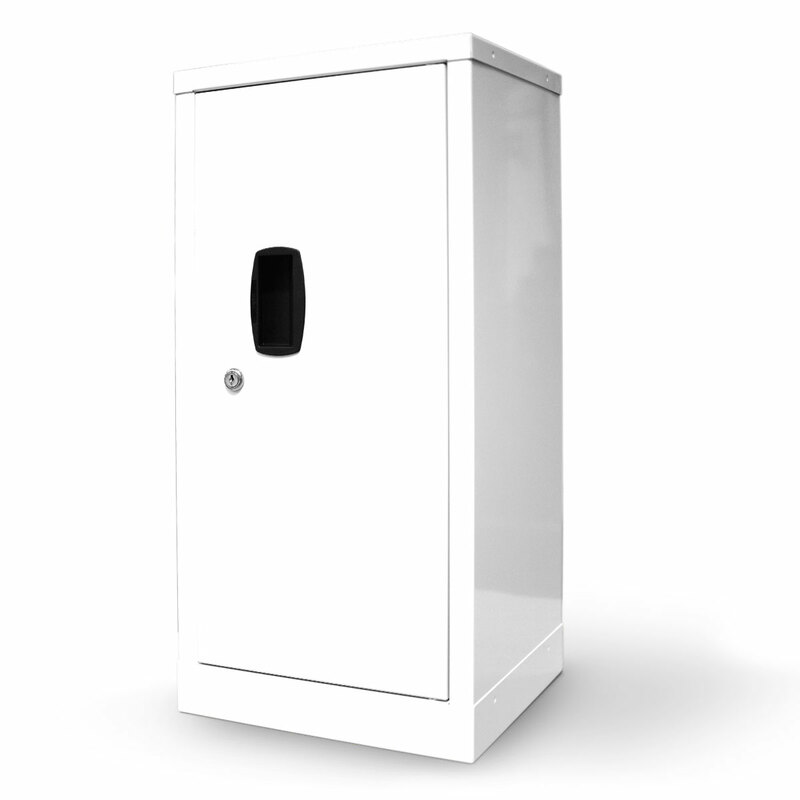 The cabinet is clearly marked with the required regulation labels and coated in a tough epoxy powder white finish. 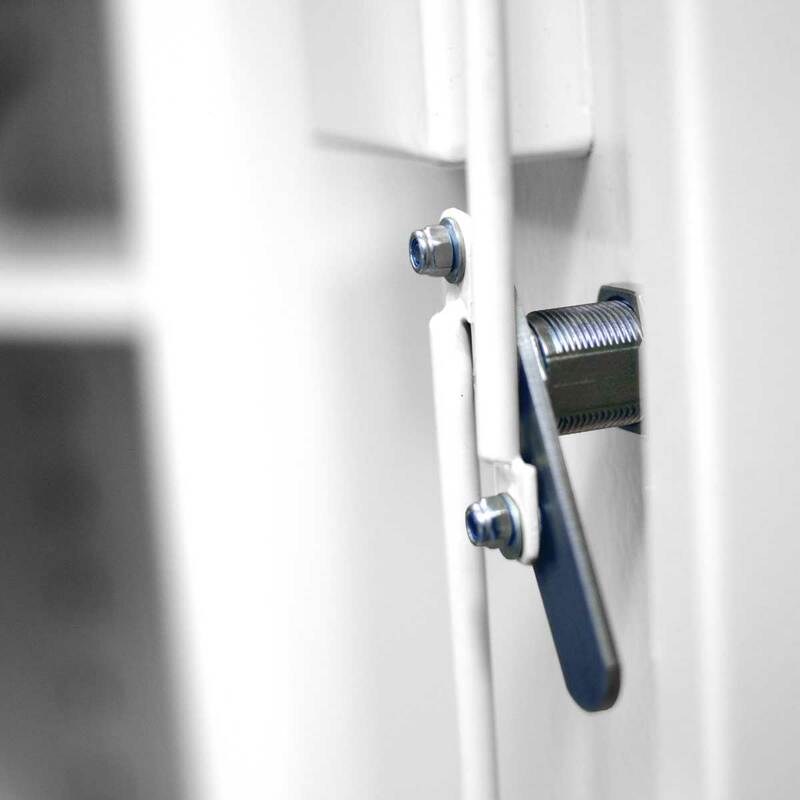 To prevent unauthorised access, the cabinet features a smooth action 3-point rod lock and pull handle fixed to a single reinforced door. 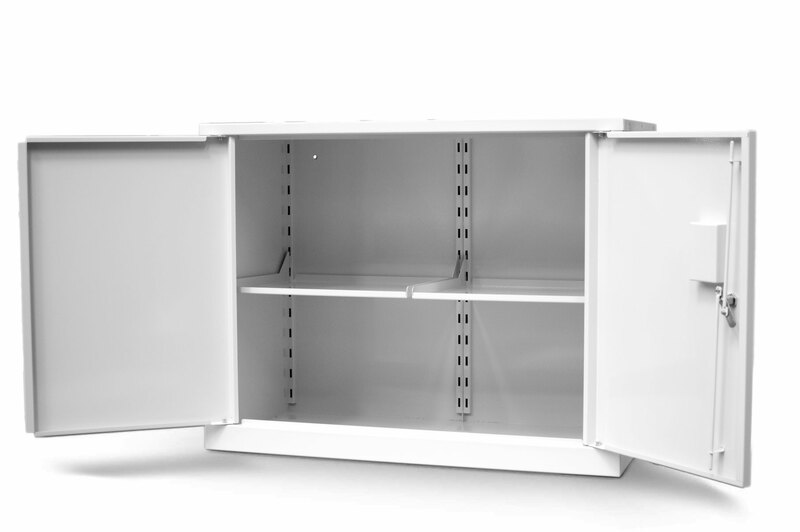 The cabinets’ smart design reduces the areas of removed metal for handles etc. increasing security and improving its containment ability. Internally, the fully welded sump and two adjustable shelves (two half width shelves) combine to maximise this pesticide cabinets’ storage area. 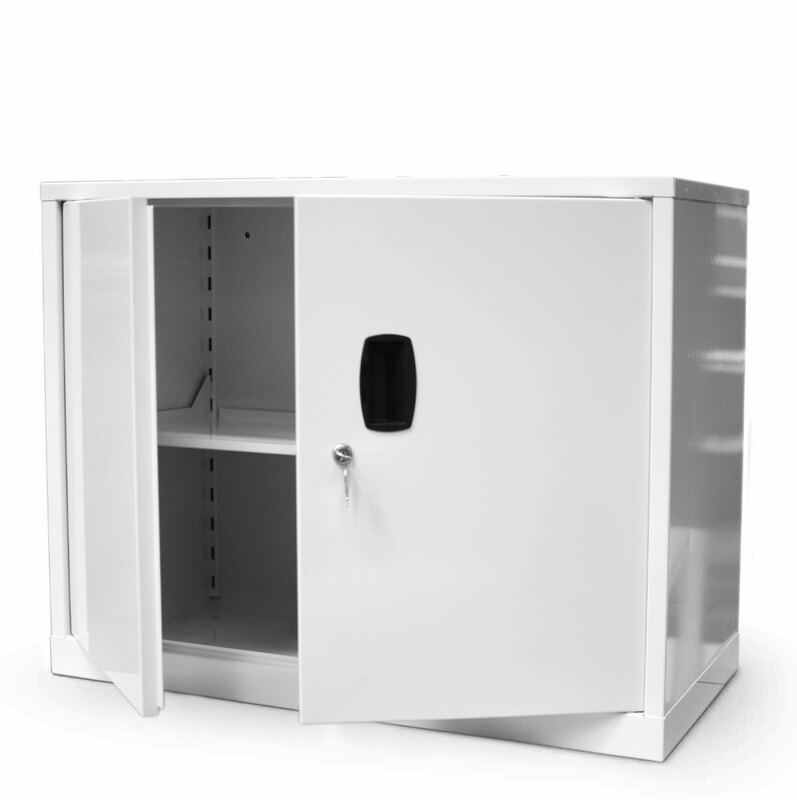 The shelves are designed to channel any spillage of liquid down and into the sump of the cabinet.